Most of my favourite travel memories are concerned with food but not one of them is in an expensive establishment. Picnics are far more memorable. And don’t you find that food tastes so much better when you’re eating outdoors? Oh, and to be relaxed with no time schedule – perfect. And of course, no huge bill afterwards. More often than not, picnic foods are good for you! 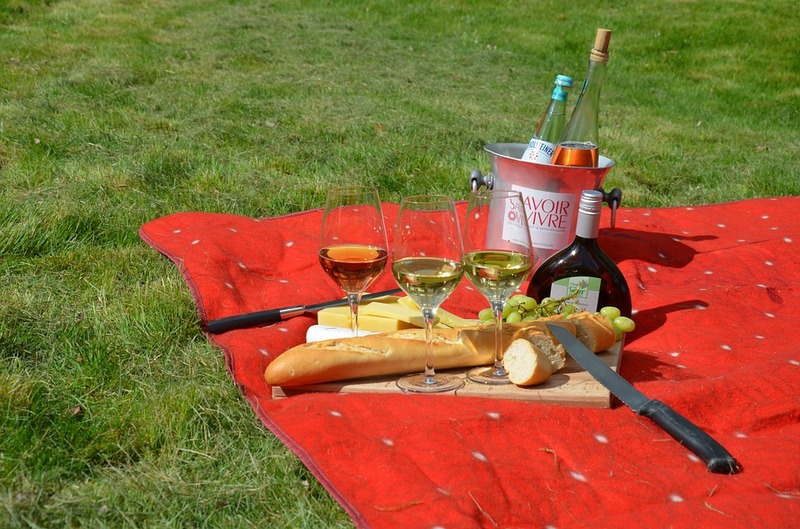 When you think about it, you can enjoy a picnic in just about any public outdoor space. Parks, a mountainside, riverbanks, beaches – these are the most popular but you’ll see some wonderful places as you travel. Many North Americans think that ‘outdoor food’ means barbecuing – it doesn’t. Fresh natural foods beat charred burgers any day and in every way. Remember too that picnics aren’t just for daytime – just add a couple of well-grounded candles to create a truly romantic evening meal in fabulous surroundings. I love this place – Colee Hammock Park in Fort Lauderdale. You can sit and watch the water traffic go by while you enjoy a lazy lunch. It’s close to the famous Las Olas Boulevard so you can stock up on picnic foods, walk a few steps to Colee Hammock and spend a relaxing afternoon.